This is the 2nd time the A-pillar molding falling off from my 2014 Ford Explorer! The first time was on the highway. The passenger side A-pillar molding fell off and almost hit the car behind. This time is on the driver side. The plastic molding seemed to be attached to A-pillar by small plastic tabs and some glue. It's unbelievable that a major automaker would come up with such a cheap design with a car that costs close to $40k! 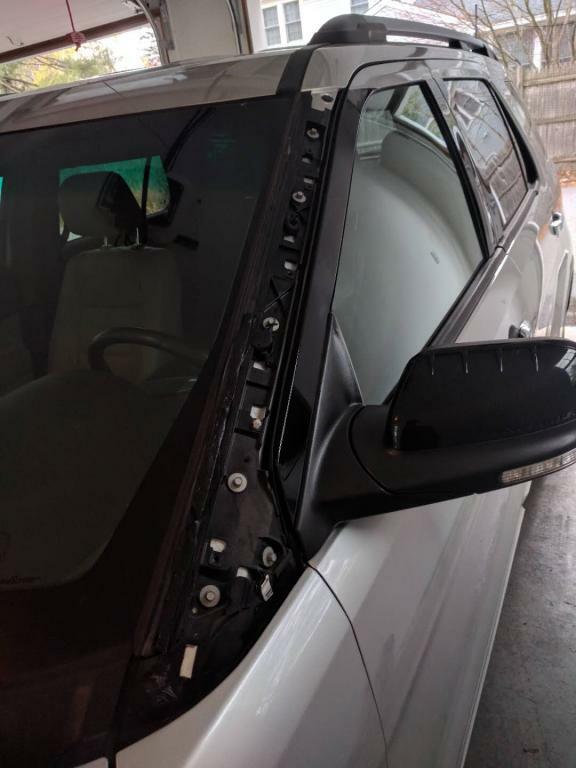 I Googled this Ford Explorer A-pillar molding falling off phenomena and found there are numerous complaints for the this problem. It's really a shame that there isn't a recall for this problem. This is a safety hazard. There should be a class action lawsuit.